This important collection of essays by noted European historians examines the history of policing in Britain, Spain, Italy, the Netherlands, Weimar and Nazi Germany and the Nazi-occupied territories of the Soviet Union in mid twentieth century Europe – an age of political extremes and brutal conflict. The book deals with methods of policing and perceptions of the police – the British ’Bobby’, the German ’Friend and Helper’ – as well as the changes in police work wrought by war, occupation and other emergencies, probing definitions of legality and the relationship between the state and its citizens in totalitarian regimes and liberal democracies alike. It is produced in association with the European Centre for the Study of Policing at the Open University. The fall of the Soviet Empire gave rise to several comprehensive historical studies on Europe during the short twentieth century (1914–1989). It was a horrible period, dominated by war, civil war and mass destruction of soldiers and citizens. Willingly or unwillingly police forces participated in these acts of violence. In several European countries historians are examining their involvement, but transitional studies or collections of essays on European policing are still rare. One of the is Conflict and Legality. The book consists of eight essays on policing in situations of conflict and repression, focusing in particular on Nazi-Germany and Western Europe. Policing under communism is left out. It starts with a brief introduction by the editor and ends with an essay by Clive Emsley in which he gives an overview of the subject. Within these limitations, the book offers a nice collection of studies. There are four essays on policing in Nazi-Germany. They are preceded by chapters on the Sienese police (Italy) and the Spanish Civil Guard in the pre-war period and are followed by chapters on the Dutch police-system and on a London undercover police squad in the post-war period. Actually, one misses only an essay on French policing. The authors treat different forms of policing and approach their subjects differently, with the result that the reader is confronted by a variety of themes: police culture and the police system, military policing and undercover policing, institutional analyses and a biographical study. I particularly appreciate three contributions. First the essay by Jonathan Dunnage on policing Siena during Italian Fascism. He draws a subtle picture of a police force that was more inclined to protect state power than to terrorize its population and that sometimes treated its enemies with remarkable leniency. Dunnage distinguishes himself by paying attention to the relations of the police with citizens. Gerald Blaney jr. describes and analyses the attitude of the Spanish Civil Guard on the eve of the civil war. When the military police was put to the test in the summer of 1936, only a part of the force remained loyal to the republican government. More than half of the force joined the military rebels. Blaney explains their desertion by their professional ideology: their devotion to public order, their distrust of the left-wing parties. Last but not least I valued the contribution of Mark Roodhouse. He describes the history of the Ghost Squad, a London based undercover unit that was active on the black markets of post-war Britain. It is a form of policing that is hardly researched historically. The author relies on some memoirs and on archives and rightly points out some continuity on British policing. Risking to be considered a schoolmaster, I want to point out that Fijnaut and Smeets, who give a thorough overview of the development of the Dutch police system, mistake the present minister of Sicial Affairs, Piet Hein Donner for his grandfather Jan Donner, minister of Justice in the thirties (p.159). The contributions were originally presented as papers at a conference of the Open University in Milton Keynes. Unfortunately, I was hardly able to notice benefits from a common discussion. I even consider the main theme, stressed by Gerard Oram in his introduction and expressed in the title Conflict and legality, confusing, if not a serious obstacle to more in-depth knowledge. Oram mixes up legality and legitimacy. The members of the Spanish Civil Guard didn’t question the legality of the government (p.16) but its legitimacy. In Weimar-Germany, anti-semitic acts of violence infringed the rule of law but their toleration by the police only distorted the legitimacy of the state with the Jews: it didn’t undermine its legitimacy with the population (p.17). I don’t consider legality a sensible concept to compare and understand European policing, because legal traditions differ widely in Europe and formal rules and regulations only play a minor role in determining police practice. In addition, I regret that, apart from Dunnage, the editor and most authors fail to appreciate the importance of police interaction with civil society, even or maybe especially in authoritarian and totalitarian political systems. One misses badly themes like denunciations by citizens and the impact of moral panic on police personnel. 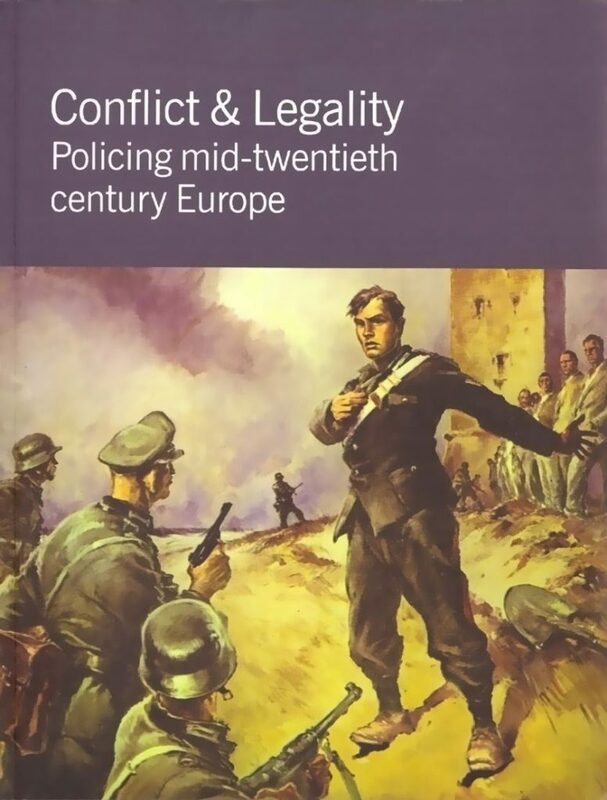 The collection of essays is rounded off by Emsley with an attempt to recognize some similarities and differences in policing in Europe during the 20th century. This kind of effort is rare. Earlier comparisons restricted themselves to national police systems. Emsley can only lean on patchy knowledge, so one can but expect limited results. He correctly resists the temptation to think that policing in dictatorships totally differs from policing in democracies and points out important similarities in institutional reactions on war and the threat of war, in public relations and in moral dilemmas of individual police men confronted with dictatorship. These similarities may in the distant future offer starting points for a comprehensive study of policing in Europe.